Ok, this is gonna sound like one long infomercial, but seriously, I can’t help myself. 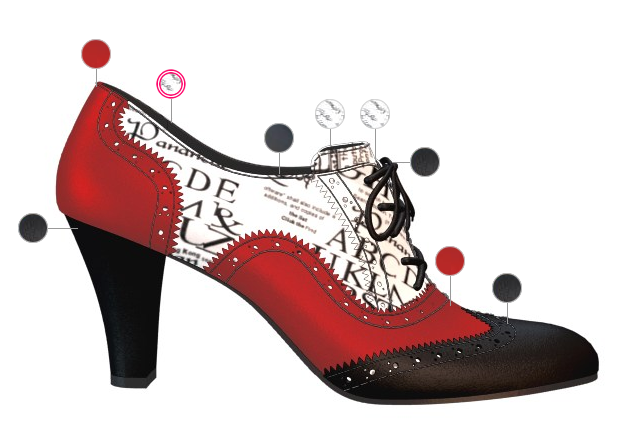 I am in love with custom designing my own shoes from Shoes of Prey and I’m going to tell you why. They haven’t paid me or otherwise compensated me to do this, but they have given me a link to share with you so you can get $20 off, and I will, too, if you buy. And fair warning: their site is addictive — you may find yourself buying shoes! It was inevitable. 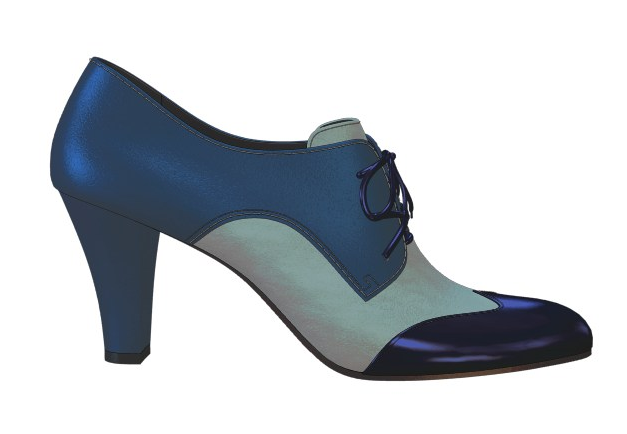 I finally ordered shoes from Shoes of Prey, which I designed myself, and I just LOVE them. Here’s the green, black and gold high-heeled oxfords that I think are the most unique shoes I’ve ever owned (and I do have some pretty special shoes). I spent more time than I care to admit on Shoes of Prey’s website designing shoes and saving them to “My Shoes” list, just having fun trying different styles and materials. I was even trying my hand at creating my own version of more expensive styles by Chie Mihara and Fluevog, to great effect. 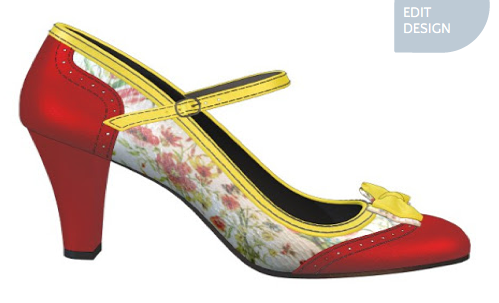 For example, here’s my version of these Chie Mihara “Tamero” shoes…not bad, eh? Eventually, it was the reasonable price (I mean for custom-designed shoes, prices from $129 seem like a steal), as well as the fact that all shipping costs, taxes, and duties were included in the price that reeled me in and made me click ‘buy’. I got those oxfords pictured above as well as a pair of black fishskin ballet flats, both size 38. While the oxfords fit like a glove, alas, the flats were very tight, and had to be returned. But returning was easy–I did have to pay for return shipping but Shoes of Prey credited my account for the shipping cost right away (not waiting until they received the returned package) which I can use against my next purchase. I had a choice of returning the ballet flats for a refund or having them remade in a larger size, and I chose the latter. Shoes of Prey is having a promotion right now for $20 off…if you use this link to visit their site, you’ll get $20 off your order, and so will I! As long as the promotion lasts, you can share a link with your friends to get $20 off your next order, too. It’s shoe happiness all around. I’m thinking maybe one of these gorgeous pairs might be my next purchase…but it’s so hard to choose. Ooooh I love the idea of getting custom shoes! I wonder if they ship to the UK??? Apparently they ship worldwide, for free. Gotta love free shipping!